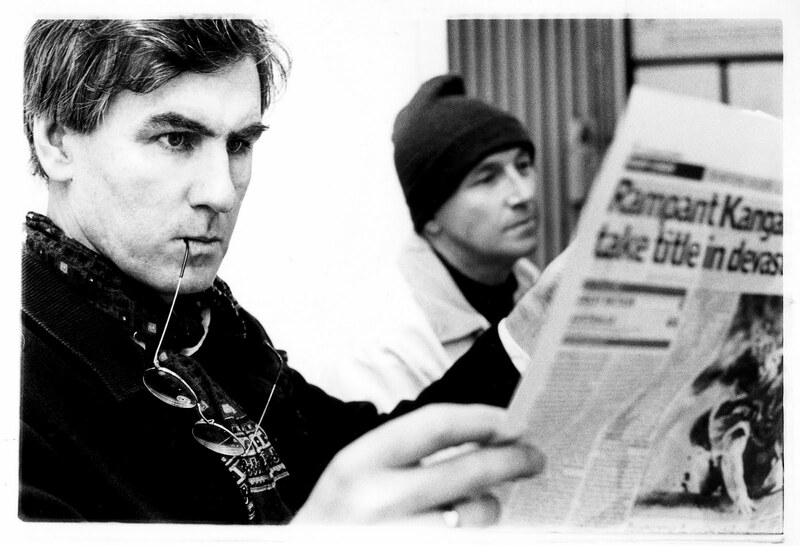 IN May 2005, I was backstage in Liverpool venue the L2 at The Go-Betweens with Coleraine lad Andy Kelly of the Liverpool Daily Post and his soon-to-be missus Rachael - and we were actually talking to the actual Robert Forster and Grant McLennan of The Go-Betweens. I really couldn't have been happier because the band had been my big love for much of the 1980s. Based around the friendship and song writing partnership of McLennan (above, right) and Forster (left) they were the greatest cult band of their era. Albums like 16 Lovers Lane, Tallulah and Liberty Belle and the Black Diamond Express were classically literate pop music made by very intelligent people. They wrote a clutch of remarkable songs on three or four brilliant albums. They may not have troubled the top reaches of the charts, but NO band meant more to me. They were loved by great looking intelligent women in short Paisley skirts, black tights and DM shoes and wrote magnificent songs and that was enough for me. As I got older and they broke up to pursue solo projects, McLennan's music meant even more to me. His four solo albums and various side projects were treasured thanks in no small part to the memory of the Gobies. Even Forster's solo albums, although not as treasured, meant something to me. In this era of free music on demand, I still treasure McLennan's solo albums Watershed, Fireboy, In Your Bright Ray and Horsebreaker Star. They are real high water marks of the era and whether anyone else feels the same way, I couldn't care less. Then, around the turn of the century, they got back together and made The Friends of Rachel Worth and then in 2005 the glorious Oceans Apart. After the release of the latter, I interviewed Grant on the phone from his Brisbane home before they played Liverpool, it was a dream come true. He was witty, intelligent and gracious in the way I had imagined he would be when I pretended to do interviews with him as a teenage fanzine writer and wannabe journalist in the 1980s. As a result of the following piece in the Daily Post I was dubbed 'the wonderful Paddy Hoey' by the band's website, it's still my most treasured achievement in journalism. Then Grant died and it all stopped. Just after their best album and when they were writing the best music of their lives to the biggest audience the ever had. Just like Lloyd Cole, The Go-Betweens never let me down, always surrounded me with love and we are all better people for their body of work. There, didn't mention 'jangly' or 'arch' once. FOLLOW FRIDAY 10 Spotify collaborative playlist here. It's from Part Company, I believe. Well done for bigging them up, though. Couldn't agree more.